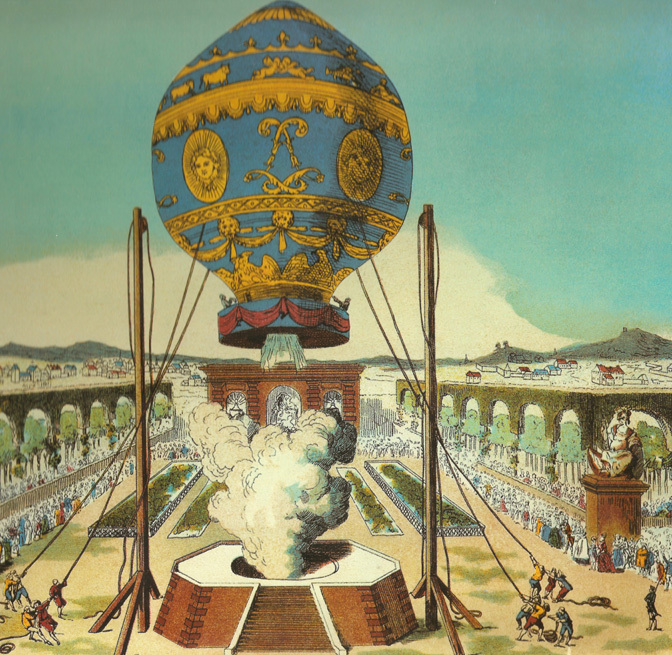 In 1783, this hot air balloon, designed by the Montgolfiere brothers, carried 2 Frenchmen (Jean-Francois Pilatre de Rozier and Francois Laurent, Marquis d'Arlandes) in the first sustained free flight. They burned straw and other materials to heat the air filing the 79,000 cubic foot linen and paper balloon. This first flight lasted 25 minutes and covered about five miles.